Chief Engineer Chris Weirzbowski has developed the CrewMiles app during his spare time over the last 6 months. Having listened to fellow crew mates and from personal experience, he wanted to get rid of the hassle many crew face when trying to keep an accurate record of their sea time in order to gain certification. Using the latest GPS tracking technology, the CrewMiles App does just that. You can create a vessel database, select the appropriate vessel for your voyage and create a voyage history against that vessel. 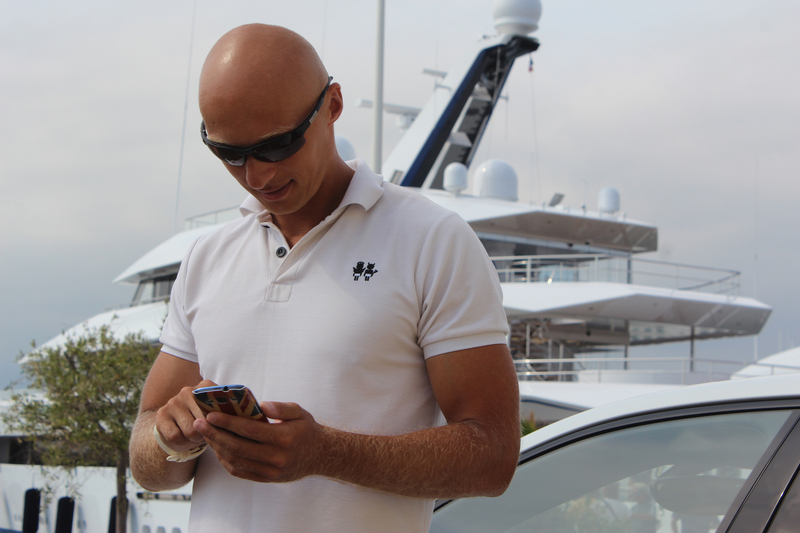 Yacht information can also be saved in the app to be sure you never forget the specifics. Enabling the automatic start feature means the next time you embark on a voyage CrewMiles will detect this and automatically start tracking. The latest feature to be released is manual entry. 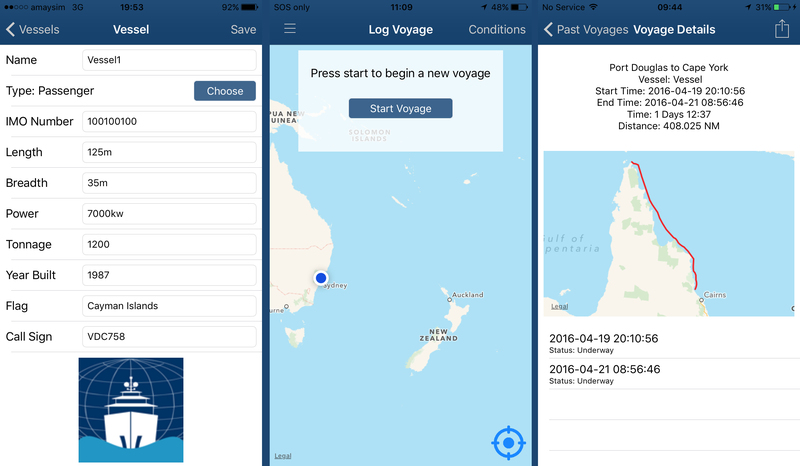 Taking care of the crew who spent some time at sea before the app was released, this feature allows you to enter previous voyages so that all your sea time is saved in one place. Or if you forget to take your phone out with you one day (highly unlikely we know!) you can manually enter that’s day’s sea time so you don’t loose out. Chris and the CrewMiles team are now in conversation with the governing associations to synchronise the export function on the app so your sea time is extracted in the appropriate format for your next testimonial and one day soon, could even be digitally verified by your Captain. How easy would that be! FunAir click and buy website for superyacht inflatables delivers the goods… Fast! Innovation takes many forms and yacht inflatable company FunAir certainly thrives in this area. In just three years they have already built the tallest inflatable climbing wall, significantly reduced deployment times for large inflatable products with their patented RapidFlate technology, launched the first in-stock yacht slide that can be shipped within 24 hours; and developed the first innovation partnership to test and develop new inflatable products with popular charter yacht Lazy Z. Well, they have done it again. The team at FunAir HQ based in Austin, Texas have launched a brand new website with the first click and buy interface for inflatable products. 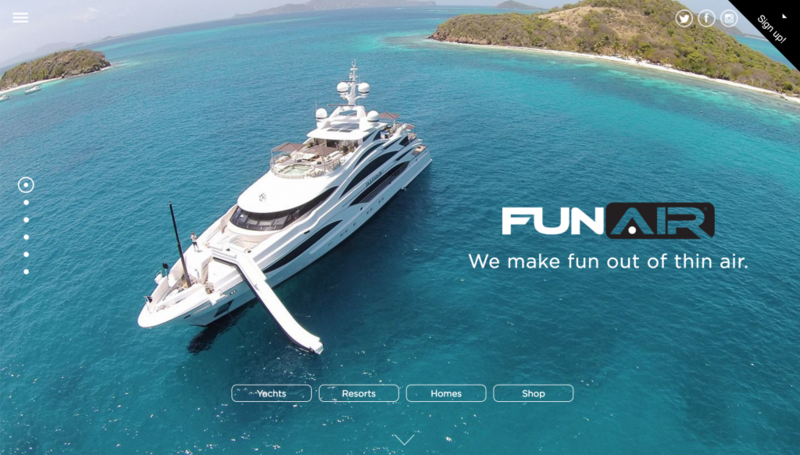 Showcasing both their in-stock and custom inflatable products for yachts, resorts and at home family fun, the site offers online shopping and promises to ship in-stock products within 24 hours. Products currently available for practically atomic speed delivery include Water Mats, Stand Up Paddle Boards, the Glacier Extreme and the in-stock yacht slide. The must have Super Sweet Slide and GaGa Ball pit are also available with immediate shipment for unparalleled on land fun. With distribution centres in Europe, America, Australia and the East captains and owners can expect to receive delivery of non-custom product in just a couple of days. To speak with FunAir email yachting@funair.com or call +1 512-593-5133.